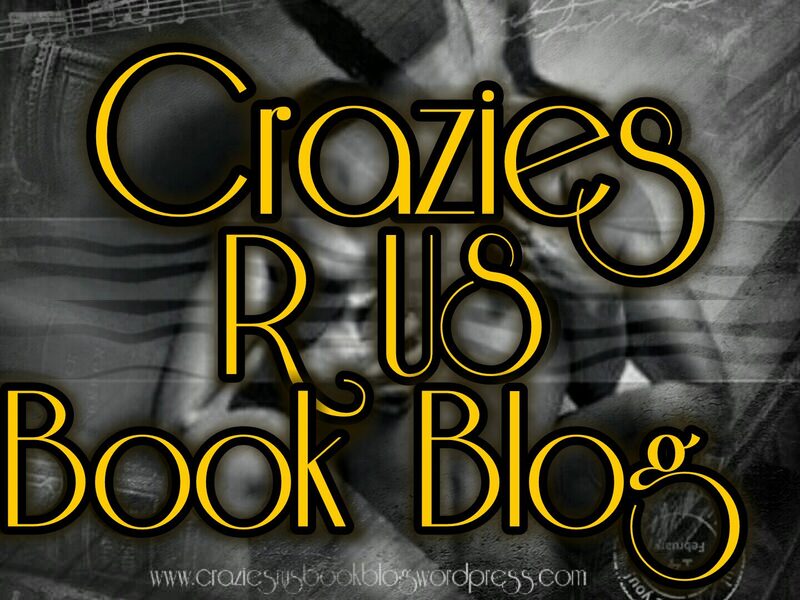 Paige Emmerson is a college student juggling expenses and family issues. Upon hearing about an opportunity to earn money, she enlists with the hopes of being accepted. While paying debts is her primary motivation, she also intrigued about the man who runs this dark operation and the power he holds to provide pain and pleasure. Brandon Grant is a mysterious and demanding man running an underground operation on the dark web. Offering high payouts to women who willingly surrender in every way for sixty days, Brandon’s predatory and sadistic ways manipulate every single penny wagered for sin and deviance. Told in dual POV, Paige emerges as an eighteen year old who believes her decision is grounded in the right reasoning. While most would be deterred by Brandon’s business, Paige is excited by the prospect of pain and becomes focused on the man that can deliver it. As Brandon’s background remains unknown, and from the short time he first encounters Paige, his life becomes unbalanced. Wanting more from Paige, he demands everything from her. 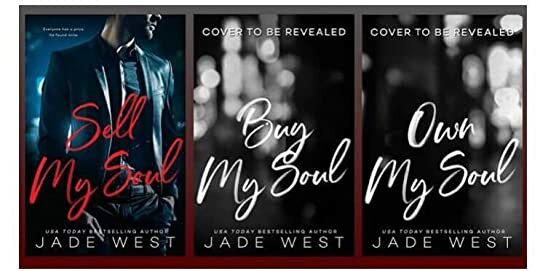 Told in such a way that is signature Jade West, boundaries are pushed which makes the decisions of these characters feel realistic and sets an angsty tone of what’s to come. There are times when I wanted to shout at these characters but more so, I wanted to see how far they would go. With Brandon being dominant in all ways, he becomes forbidden and his allure increases. 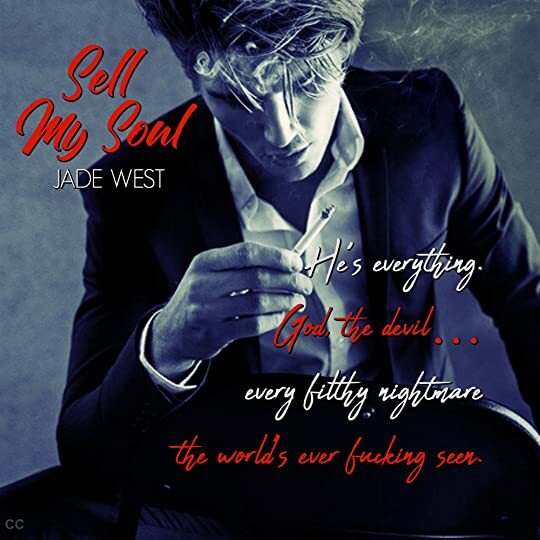 Sell My Soul is full of temptation in a dirty, dark and dangerous world. I look forward to reading how this story continues to unfold. 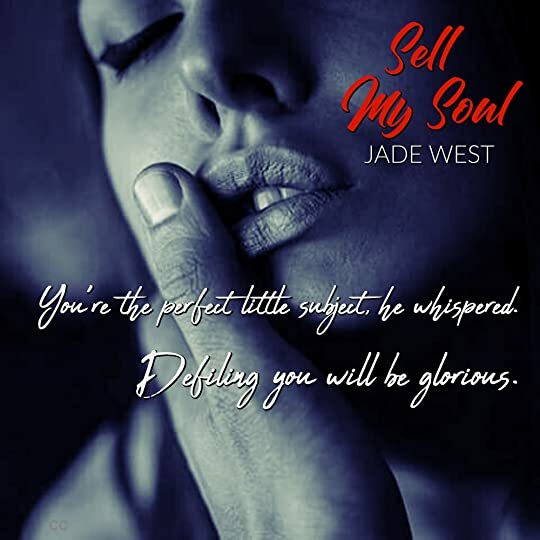 This entry was posted in CC's Reviews, New Releases, Promotional, Teaser and tagged #jadewest #sellmysoul. Bookmark the permalink.